New Celtic signing Timothy Weah has revealed that he is already loving life at his new club after joining on loan from Paris Saint-Germain. Weah scored on his debut after coming off the bench in a fourth round Scottish Cup tie against Airdrieonians on Saturday. Celtic emerged comfortable 3-0 winners against the lower league side, and Brendan Rodgers gave an opportunity to Oliver Burke as well, another winter signing, from West Brom. Scott Sinclair scored in each half to give the Hoops a two-goal lead and was replaced by Weah in the 69th minute. The 18-year old scored has explained that being accepted by the fans so quickly is a special feeling and says he already loves the club. 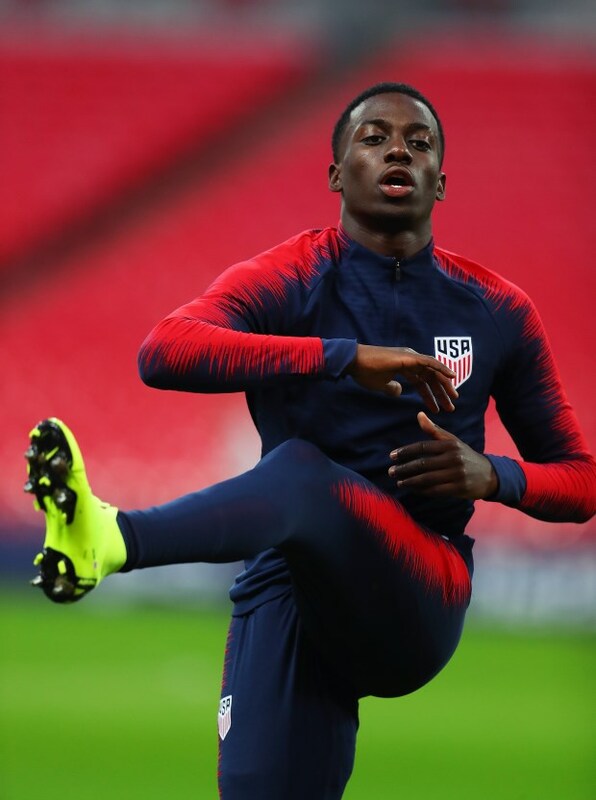 “It’s an amazing welcome, and as you can see with my celebration, I already love the club, and I feel honoured and blessed to even have this opportunity”, Weah told Celtic’s official website. "Getting it on my debut, I’ve never done that before and that’s a blessing." Weah is now keen to focus on Celtic's next match as he looks to continue making an impact. “I now need to focus on the next game and try to get another one, or an assist for my team, and work hard for the win." Celtic will now focus on their Scottish Premiership game against St. Mirren on Wednesday as they look to make it eight league titles in a row in the coming months. Weah will hope to play a part in the coming games as the Hoops play twice in the span of four days.